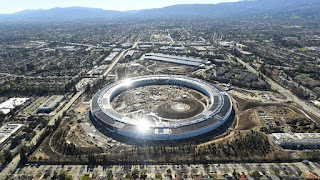 Home » Apple » Apple Stock » Business » Market Cap » News » Steve Jobs » Valuation » Legitimate! Apple Has Worth USD 1 Trillion, Who Is Following? Apple has just succeeded in reaching the title as the first technology-based company in the world that has a valuation of USD 1 trillion. The iPhone manufacturer managed to reach the incision after the value of its shares touched USD 207.04 per share, and now crawls to the level of USD 207.39. 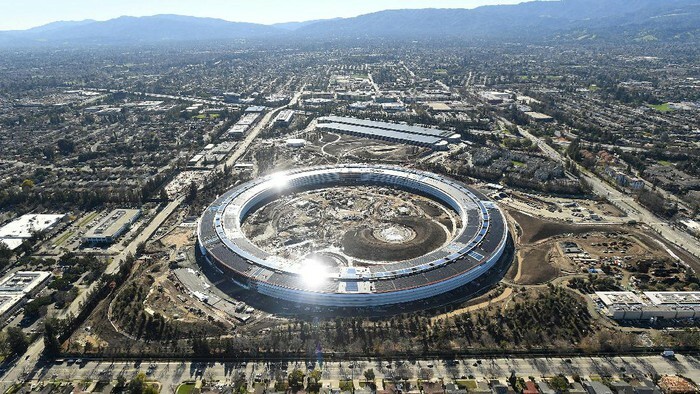 Apple Park. Photo: REUTERS / Noah Berger. So, who are the other technology companies that are likely to catch up with Apple to reach the milestone. There are three names that have great potential. Amazon is at the forefront. The e-commerce established by Jeff Bezos is rumored that the valuation has reached USD 900 billion. For your information, Apple successfully touched a valuation of USD 900 billion last November. If they take about nine months from that point to become a company worth USD 1 trillion, it's not impossible that Amazon can do it faster. Moreover, at the beginning of last March, their valuation was still in the range of USD 700 billion. Some analysts estimate that the company that owns sophisticated supermarkets without cashier will touch the milestone in the range of August to October. Behind him, there are Alphabet and Microsoft competing with each other. Both valuations are reported to have exceeded USD 800 billion, with the first name having a slim advantage. Google's parent company is said to have a market capitalization of USD 875 billion. While the company founded by Bill Gates is now worth the equivalent of USD 802 billion. As a note, the incision of the two companies was announced at the end of last July when they published their financial statements for April to June 2018 respectively. So, it is not possible to see if the numbers are now larger or smaller than stated. Even though the three of them lost to compete with Apple in breaking the USD 1 trillion valuation, there is still another chance for them to retaliate. No other and not a race in the pursuit of a market cap of USD 2 trillion. Cloud technology becomes an ace for all three to win the competition. Google Cloud, Amazon Web Service, and Microsoft Azure are arguably the leading players in this sector. If the first two names can be said to have mastered various global digital platforms as their consumers, starting from Telegram and Spotify, Microsoft has the power in the gaming sector. It is interesting to wait for who will achieve a USD 2 trillion valuation first. But, for a closer distance, who will catch up with Apple's $ 1 trillion valuation? 0 Response to "Legitimate! Apple Has Worth USD 1 Trillion, Who Is Following?"